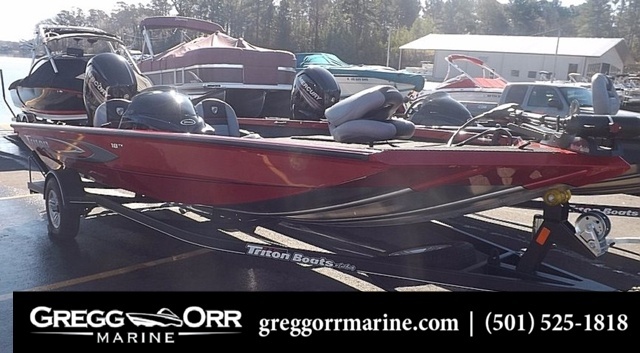 2017 Triton 189 TRX, The 189 TRX delivers value, performance and amazing fishability in a package that's easy to tow, easy to launch and load- and easy to afford ! 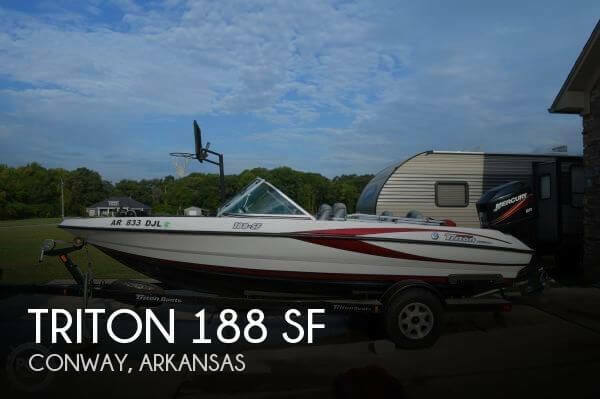 Standard with all the great bullet-proof construction and engineering of large Triton models, including all-composite transom, in a great-looking package you and your family will love. Oversized casting decks, super-sized storage, and standard hydraulic steering are just some of the great features. The 189 Trx is a strong performer, with power rating to 150HP. 2017 Triton 17 TX, Stow rods to 8 long in the roomy rod box and keep your catch lively in the roomy 30-gallon live well. There's vertical storage for up to 12 Plano boxes, and the molded fiberglass console gives plenty of space to stretch your legs. The 17 TX runs great on economical mid-range outboards from 25 to 75 horsepower. 2017 Triton 18 TX, Speed, performance and lots of fishing room combine in the 18 TX, a great-looking package that will get you to the fish fast thanks to the 115-horsepower rating. 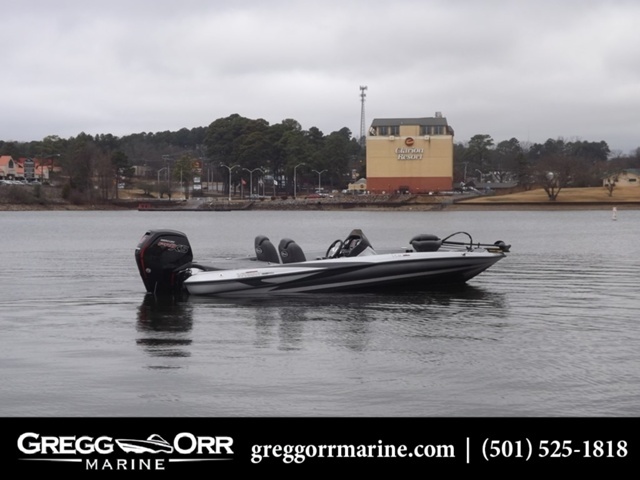 Vertical storage space for up to 14 Plano 3700 tackle boxes plus rod boxes that can handle 8' 6 rods means this is a great tournament boat as well as a family favorite.Three-across seating and an oversized console with plenty of leg room make this a comfortable boat. 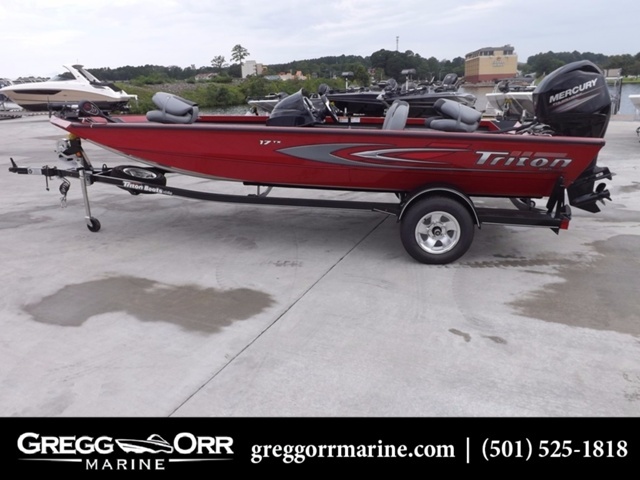 2017 Triton 179 TRX, The 179 TRX is easy to own, easy to drive, fast to the fish-and easy to fit into your garage ! A Triton through and through, loaded with all the extras you need at a price you can afford. The 179 TRX is built with the same attention to detail and super-strong structure as every boat in Triton's premium lineup, promising dependable service season after season. The 179 TRX has oversized live well's, big roomy console and plenty of space in a package you can tow with most mid-sized vehicles. 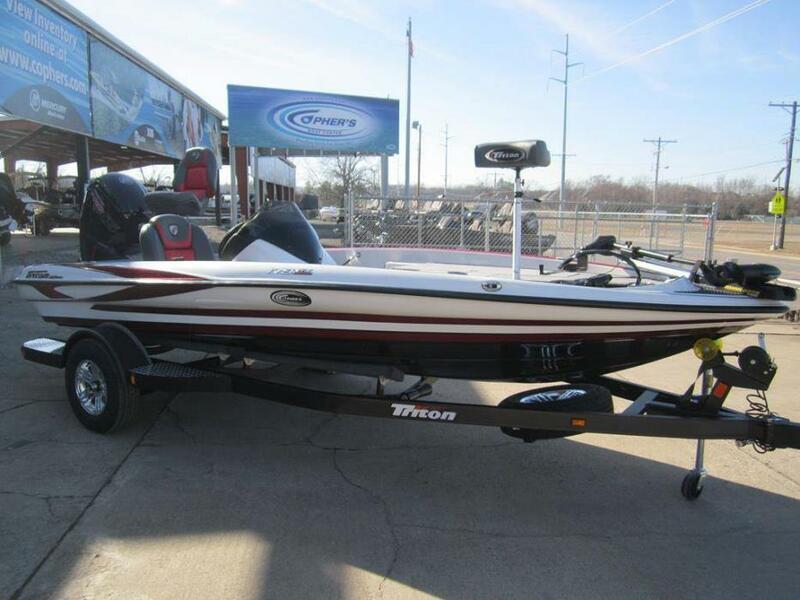 2016 TRITON 18 TX SPECIAL EDITION, This electric red 2016 Triton 18 TX is sure to assist you in reeling in the BIG catch! This boat is built to last you for years to come. It offers plenty or dry storage, a trolling motor and trailer with a break away tongue. 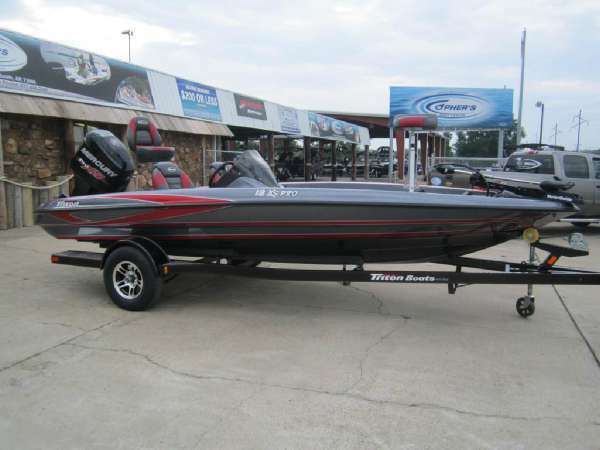 This Triton is water ready and waiting on you so call or come by today. We are located at 4903 Central Avenue in Hot Springs Arkansas on the beautiful Lake Hamilton. 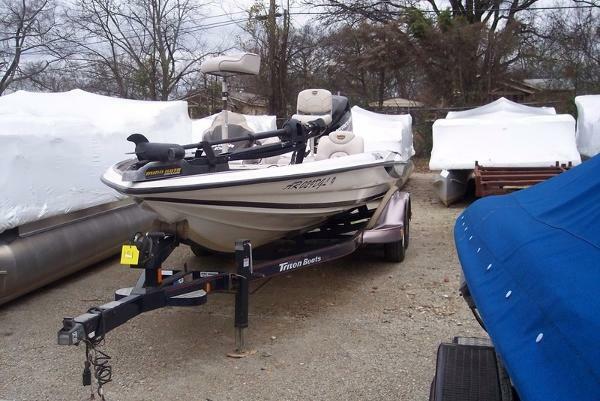 2004 Triton TR20 AVAILABLE 2004 Triton TR20 2004 Triton Tr20, Lowrance electronics, Minn Kota Trolling Moto< Jack Plate. Hot Foot, Tandem Trailer. 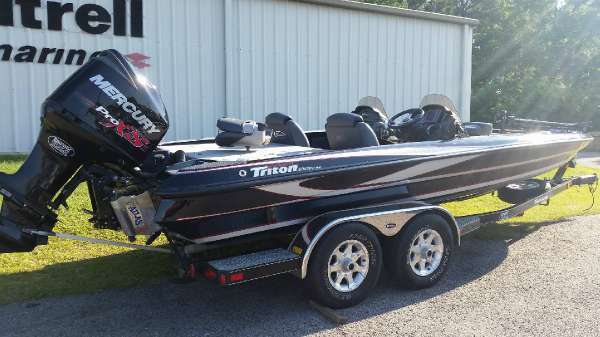 2014 Triton X18 2014 Triton X18/Mercury 115 Pro XS - Options Include: Mercury extended warranty till 6/16/19, Gray exterior paint w/ Rawhide interior liner, Road Armor finish on trailer as well as aluminum rims and matching spare, Boat Buckle retractable tie downs on trailer, transom motor support, two fold down fishing seat with pedestal and one bike seat with power pedestal, Stainless steel Mercury prop, Lowrance Elite 5 HDI (color sonar, gps with lake mapping, and down scan imaging) at console, Minnkota Maxx 70 lb. 24 volt trolling motor, two deep cycle trolling motor batteries w/ tray and strap, cranking battery w/ tray and strap, 2 x 6 amp Dual Pro on board charger. 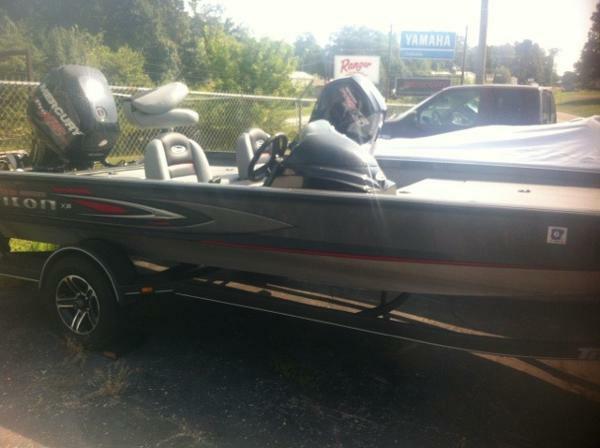 Please call Tony at Perfect Catch Marine (870) 445-2628 to discuss this boat. Asking $17,900 OBO.